Heart attacks occur when the supply of blood to the heart is suddenly blocked, usually by a blood clot. Symptoms of a heart attack can include: chest pain, shortness of breath, feeling weak and/or lightheaded, sweating, feeling or being sick, coughing or wheezing, and experiencing an overwhelming feeling of anxiety. 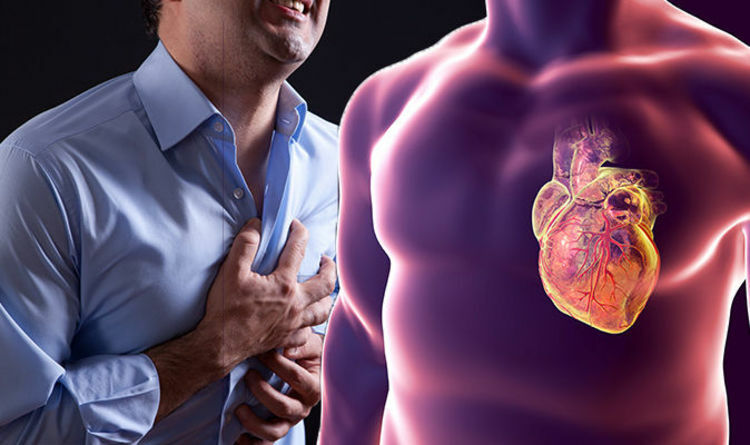 Chest pain during a heart attack can make you feel like your chest is being pressed or squeezed by a heavy object, with pain radiating from the chest to the jaw, neck, arms and back. However, not everyone experiences severe chest pain. In fact, the pain can often be mild and mistaken for indigestion. In some cases, there may not be any chest pain at all, especially in women, the elderly and people with diabetes. Therefore, the combination of symptoms is what is important in determining whether a person is having a heart attack, and not the severity of chest pain. “It’s the overall pattern of symptoms that helps to determine whether you are having a heart attack,” the NHS said. A heart attack may not always suddenly come out of the blue, and may develop slowly. According to Bupa, two out of three people have symptoms such as breathlessness and fatigue for days or even weeks before their heart attack. “The symptoms of a heart attack can vary from person to person. It isn’t always obvious that you’re having a heart attack. Often people wait too long before calling for help because they aren’t sure what’s happening,” said Bupa. According to the NHS, if someone has had a heart attack, it’s important to rest while they wait for an ambulance, to avoid unnecessary strain on the heart. If you have aspirin on hand (and the person who has had a heart attack isn’t allergic to it), they should slowly chew and then swallow a 300mg tablet while waiting for the ambulance. Aspirin helps to thin the blood and restore the heart’s blood supply. In some cases, a complication called ventricular arrhythmia can cause the heart to stop beating. This is known as sudden cardiac arrest. If the person having a heart attack appears not to be breathing, is not moving, or is not responding to any stimulation such as being touched or spoken to, they could have gone into cardiac arrest. If you think somebody has gone into cardiac arrest and you don’t have access to an automated external defibrillator, you should perform chest compressions, as this can help restart the heart. “If you suspect the symptoms of a heart attack, dial 999 immediately and ask for an ambulance,” said the NHS. About 175,000 people in the UK have a heart attack each year, according to Bupa. The risk of having a heart attack increases as you get older, and men tend to get them at a younger age than women. The average age for a person having a first heart attack is 65 for men and 72 for women. However, heart attacks can happen in much younger people, even in their 20s and 30s if they have other problems such as very high cholesterol.